September 2013 Terry released her long awaited 4th Studio CD "Flowers at Midnight". Holder co-produced the record with Garey Shelton who was also the engineer. The production ranges from stripped down to full on produced yet managing to keep the acoustic guitars the focal point on most of the songs. Holder says the songs on this album were inspired by real life, the things that really resonate in the heart and in the gut. On “Flowers at Midnight you will find songs about old Love letters, the tears of a child, being comfortable in your own skin, the power of paying it forward, the magic of a fortune teller, common threads that tie us together as human beings, devastating loss and enduring love. The title track “Flowers at Midnight" is a magical dream song inspired by a friend looking for true love. "I believe in magic and the power of making your dreams come true and Flowers at Midnight is a dream come true record for me". Holder’s passion, enthusiasm and hard work have earned her the title “Award Winning Songwriter”. 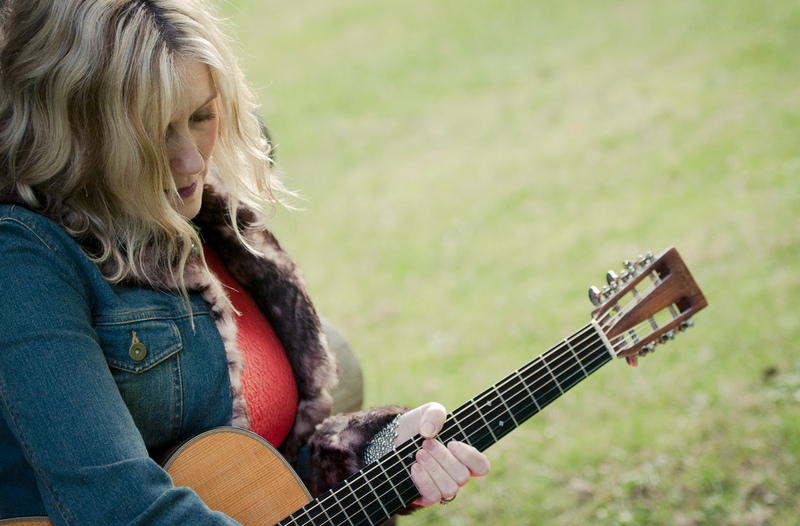 She won the 2013 “Wildflower Songwriting Competition” in Richardson Texas, is a 2013 Semi-Finalist in the International Songwriting Competition and has been selected four times as a “Kerrville New Folk Finalist" at the prestigious Kerrville Folk Festival. She does not believe in placing limits on herself and until 1999 her full time job was "stay at home mom." Her life changed when the youngest of her 3 daughters moved away, a transition that coincided with the passing of her mother. Depression settled in. Seeking solace she reached for her guitar and began shifting her pain into writing music. She literately woke up one morning and began writing music. The first song she penned became the title track for her 2001 debut CD "Am I Here Is This Me,” which was originally intended only as a keepsake for her daughters. The album of introspective songs started garnering sales and critical acclaim. It was followed by her 2nd CD "Colored Rooms" and her third studio CD “Ticket To The Moment” both delivering emotionally driven songs with lyrics that take you on a journey with flashes of abandon, heartbreak, love, social and self-awareness.